Turquoise and antiqued silver pewter beaded dangle earrings. Stare into the void. Wire wrapped, hand painted glass eye brooch. Announcement We take custom orders! Send us an email at dragonwolfcrafts [!at] gmail.com or message through Etsy with details. We take custom orders! Send us an email at dragonwolfcrafts [!at] gmail.com or message through Etsy with details. 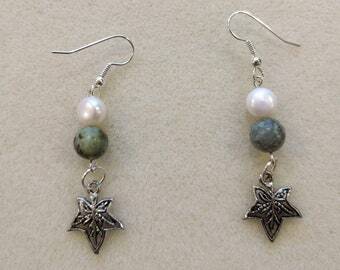 African turquoise and freshwater pearl with pewter ivy leaf earrings. 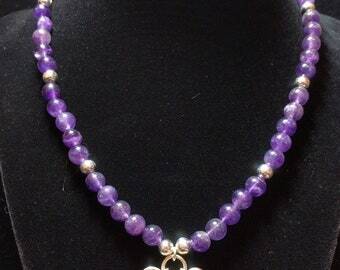 Amethyst and freshwater pearl beaded bracelet. Asexual pride beaded earrings and necklace set. Squidly! 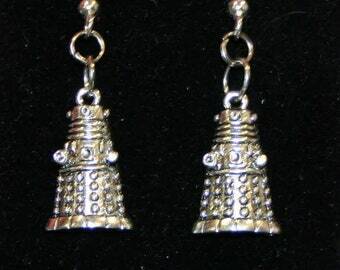 Lampwork squid bead earrings. 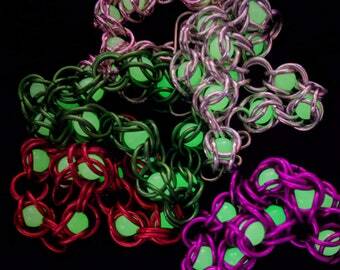 Glow in the dark captured bead chainmail bracelets! 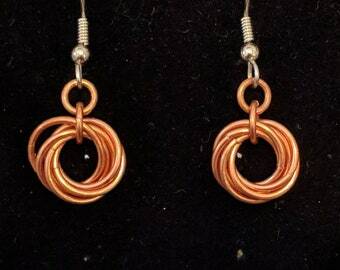 Pretty copper mobius knot earrings. Quick response and excellent work. Thanks! It's even more beautiful in person. Exceptional workmanship. I love all the compliments I get when I'm wearing it. And it arrived promptly. 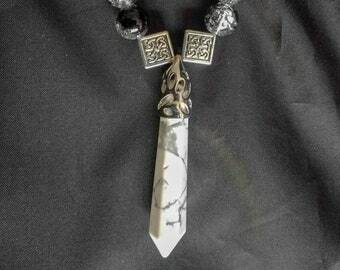 Would gladly buy more from DragonWolfCrafts. Hearts in abundance! 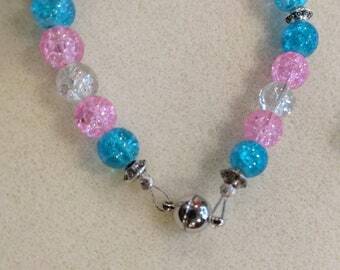 Lovely beaded necklace with filigree hearts and blue glass cats eye beads. 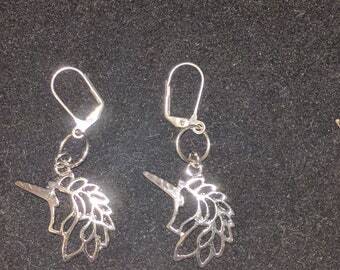 Very pretty as described!My best friend is going to love these! Ready to sell at Tucson Comic Con 2018! Cheryl started doing beadwork in the late 1980s as one of many crafts that caught her eye. Martin has always enjoyed bending metal. The two met on New Year's Day in 2005. Twelve years later, they decided to combine crafting forces to get more out of their respective hobbies. Cheryl enjoys making pretty things and sharing her joy of design with others. Martin is passionate about bending metal into gorgeous shapes. They share and discuss design ideas, jump rings and tools. They support each other in trying bold, new ideas. All around geek whose fascination with beads began 30 plus years ago when I researched beads as part of an arts project in the SCA. I taught several classes on the history of beads. Then I taught myself bead stringing and weaving. Star Wars Uber fan, gamer and computer geek. Excels at working with his hands whether building computers or weaving chainmail.